The official numbers count 473 drone strikes between January 2009 and December 2015 conducted by the US military and the CIA. These killed between 64 and 116 civilians, and some 2,581 militants. There are gaping discrepancies between these official estimates and independent studies. The Bureau for Investigative Journalism records 373 strikes during the Obama Administration in Pakistan alone, resulting in 424-966 civilian casualties. 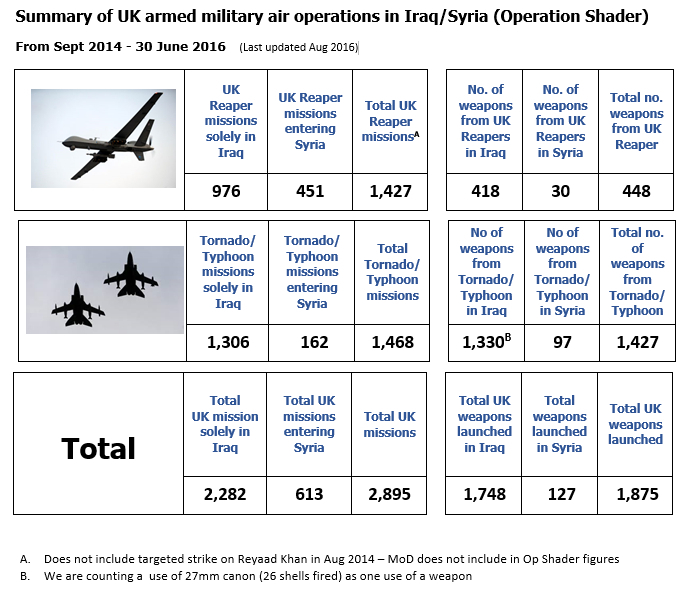 (For the record, the UK flew 1427 Reaper missions in Iraq and Syria from September 2014 to the end of June 2016, launching 448 weapons). This also means that the legal edifice of the War on Terror – that the United States is “at war” even if it’s acting outside a war zone – is preserved. In this sense, the drone wars present a problematic weakening of the concept of war itself, as the French philosopher Grégoire Chamayou and his reviewer Audrey Borowski recognise. They “hover somewhere between the law of armed conflicts – which requires sustained, persistent fighting occurring in a theatre of conflict – and law enforcement – whereby the use of lethal force is used as a last resort.” Some saw the killing of Anwar al-Awlaki, a US citizen who became a leading member of al-Qaida in the Arabian Peninsula, killed by drone in 2011, as the point where extrajudicial execution became an policy option. A US Department of Justice white paper returned that the president’s decision to kill in this situation, or his deputy’s, was “a lawful act of national self-defense.” This distinction between acts of war and national self-defence was reinforced in the first line of Obama’s executive order last month. What are the consequences of this doctrine? In Dallas last month, Afghanistan veteran Micah Johnson, furious at the killing of black people by US law enforcement, fatally shot five officers and wounded seven. He was “killed by a Remotec Andros F5 robot, built by weapons-maker Northrop Grumman, carrying a pound of C4 plastic explosive, and typical of robots that police departments now possess.” The drone wars are coming home.